New Zealand residential building consents fell 4.9 per cent in August as the Canterbury rebuild shifts its focus toward commercial work. Seasonally adjusted consents declined to 2,397 last month from 2,520 in July, when they spiked 20 per cent, according to Statistics New Zealand. On an unadjusted basis, residential consents rose 11 per cent to 2,291 from the same month a year earlier, led by a 36 per cent gain in retirement village units. Housing consents rose nine per cent to 1,617, while apartment permits dropped 39 per cent to 65. 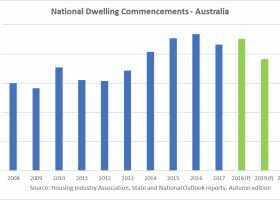 Dwelling consents were up eight per cent on an annual basis to 25,928. “The decline in the number of residential consents in August was not as pronounced as expected, meaning the trend upward is stronger than originally thought,” Westpac Banking Corp economist David Norman said in a note. Construction intentions were strong in non-residential work, with a 52 per cent increase in the value of permits to $671 million, of which almost two-thirds was in Canterbury, driven by a number of high-value consents including the $137m Regional Science and Innovation Centre at the University of Canterbury. New Zealand has a strong construction pipeline over the next six years, due largely to an under-supply of housing in Auckland, the country’s biggest city. Auckland residential consents rose 6.9 per cent to 741 in August from the same month a year earlier, amounting to almost a third of permits across the country.